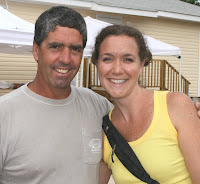 Above – Bill Watson, owner of Carolina Tree Brokers with Deborah Way, SBC Sales and Marketing Coordinator during Habitat Blitz week. On right – R.P. 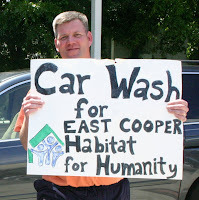 Newton, SBC Estimator, “driving in” business at the Habitat for Humanity car wash.